Version 2.0 is a complete remake of the app based on user feedback and we are currently looking for Beta Testers. Anyone interested please reach out. Our deadline is Sep 15, 2015. 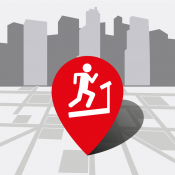 App dedicated to rating hotels based on their fitness facility and offering a.k.a. "Fit Spot". The App wants to become a travel companion and guide for those who stay at hotels and want a better way to search and review hotels based on their fitness offering. Fit Spotting is to hotel gyms and hotel fitness centers what TripAdvisor is to the hotel overall. Fit Spotting is focused on what is inside the hotel from a Fitness perspective.